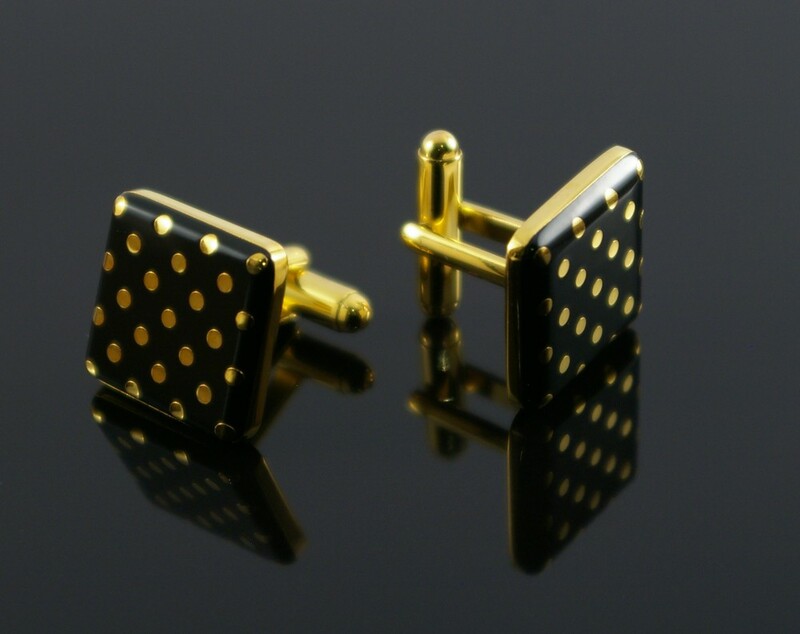 Classic golden cufflinks with a black enamel front featuring stand out gold circles. On the rear of the face is a bold white enamal feature wall. These cufflinks won't be missed but ooze elegance!